So much has been written about Saint Thérèse that it is almost invidious to think that more can be explored. 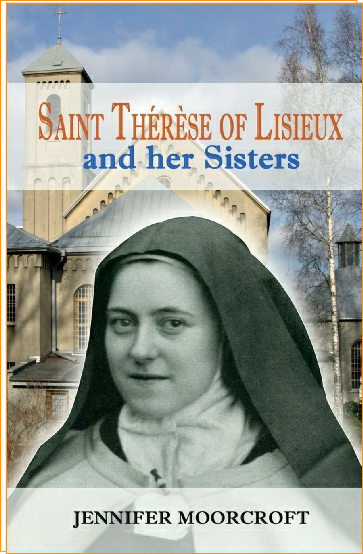 Instead, this book introduces us to those who would describe themselves as ‘lesser souls’ compared to Thérèse, but who nevertheless put into practice her ‘Little Way’, those who were part of her life, both in her family and in the monastery. In biographies of Thérèse those around her appear in the periphery, a background to the canvas on which Thérèse is painted. But they are interesting in their own right, so varied in their personalities, ones who were touched by Thérèse and whose lives were changed by her, but who also played a part in forming her in becoming the saint she was. Jennifer Moorcroft, a Carmelite Tertiary, brings these many sisters out of the shadows and see how each one, in their different ways and to what extent, lived out the ‘Little Way’.